Thank you, Sourcebooks Fire via Netgalley for providing me with a copy of this book! 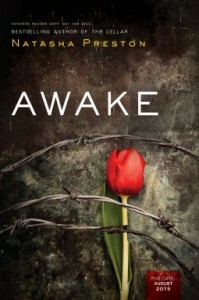 The email I received from Netgalley called Awake a “high-stakes thriller”. I’m with ‘em on that – definitely high stakes and keeps the heart pumping! Scarlett has no memories before the age 4. I’ll admit, the story lost me a little here. Do ANY of us have memories prior to age 4??? I honestly have very little memories of my younger years so when Scarlett announced this supposed weird thing about herself to the new guy, Noah, I was less than impressed. Maybe if she had no memories prior to age 10 or something, I would have bought it, but trying to make the loss of memories from a person’s first 4 years dramatic was not effective for me. Moving on to the romance aspect. I’m good with it. I’ve seen a few reviews negatively review it as “insta-love” which IS really popular right now in YA and non-YA romantic stories; however, I felt like Preston really nailed the teenage, angsty, quick-to-fall romance here. Think about the first time you fell for someone. It probably happened much quicker than you’d recommend to your older self, right? Same here. Noah and Scarlett are pretty typical of teen love in my opinion and Preston’s handling of it was smooth and fun to read. How about we talk a little about Eternal Light? Super creepy and thrilling ride there. I think the author had a great storyline going. The writing, especially/mostly the dialogue, was a little choppy to me at times. I found myself wondering who had just spoken often, but usually figured it all out in a couple seconds. All-in-all, it wasn’t a deal breaker. 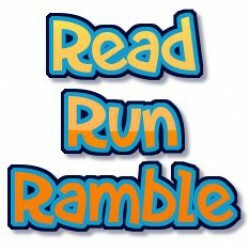 I still enjoyed the story and like I mentioned in the beginning, it is definitely one that will get the heart pumping. So, if you’re looking for something a little different, check this one out. The cult angle is definitely new and the author gives readers a lot to ponder while reading this one. I was provided with an ARC of this book by the publisher or author in exchange for an honest review. All thoughts and opinions are my own. I am not compensated for any of my reviews.